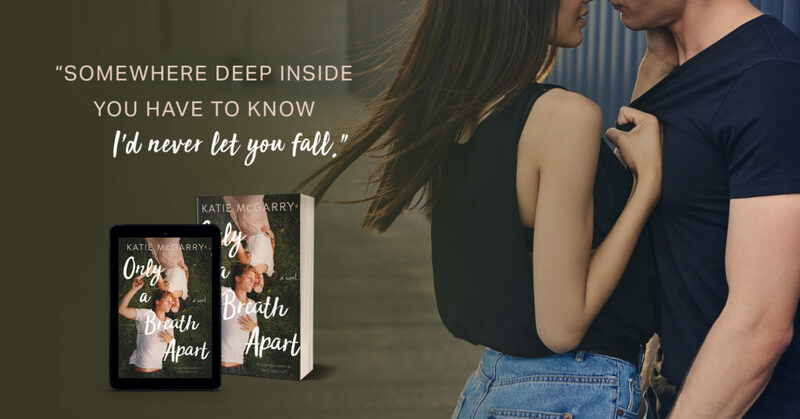 Bestselling author Katie McGarry’s trademark wrong-side-of-the-tracks romance is given a new twist in the gritty YA contemporary novel, Only a Breath Apart. I hope I can convey all of my thoughts and emotions from after reading this book. I read it last week and left it to simmer in my brain, hoping I could get a better grip on how it made me feel before writing my review. But you know what? I don’t know that I’ll be able to fully explain it without reading the book a second (or even third?) time. I think it may be the best of Katie McGarry’s books since Pushing the Limit. GASP! I know, can it be possible? I assure you, it is. 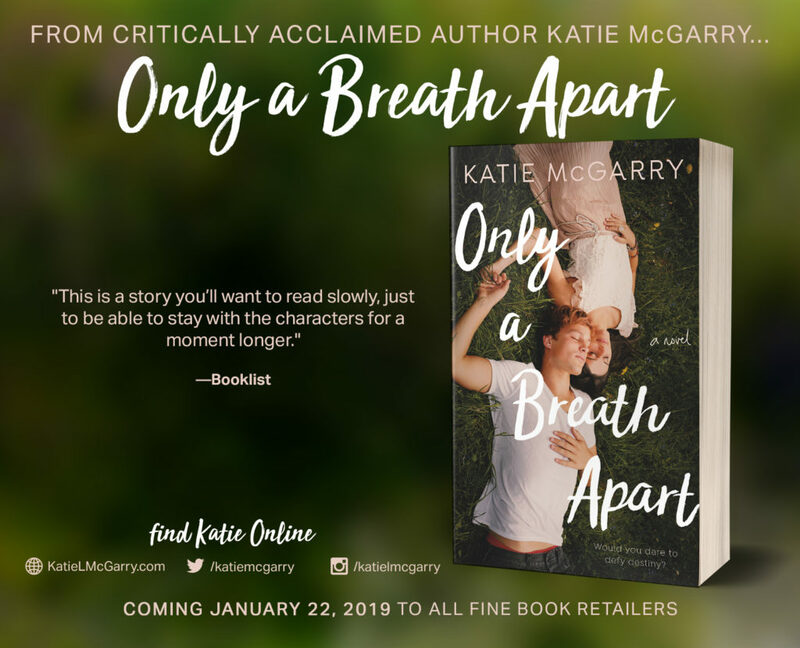 Only a Breath Apart is at the very least a promising introduction to a new series, and I can’t wait to get to know these characters better! I instantly fell in love with the chemistry between the characters. Jesse and Scarlett are both left feeling very alone, both feeling like they’re broken in some fundamental way. Jesse believes that his family is cursed, dooming anyone and everyone they love, and it leaves him living half a life. 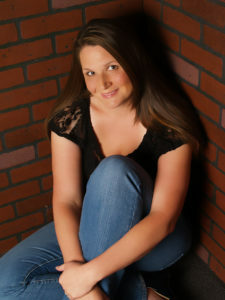 Scarlett is bending under the burden of too much pressure, too many secrets. She’s also forced to live a partial life, constantly having to hold herself back or face the wrath of her father’s fiery temper. They grew up as best friends, but were driven apart by Jesse himself, which was the only part that I had a hard time with. I wish there had been more about the actual event that pulled them apart after so many years and so much trust built between them. Now, they’re older, and forced to reconnect by a fortune teller, bent on reconnecting their lost friendship. Which leads to possibly one of my favorite parts. The secondary characters. As a series, this peek we have been given into these characters is almost too much of a tease for me to handle! Tiny glimpses into their lives and motivations, just enough to whet the appetite, and I can tell there’s so much to explore. Probably the most intriguing is Glory, Jesse’s surrogate aunt of sorts. She’s a fortune teller/palm reader, and she left me wondering how much of the spiritual connection there is within the series. Is she actually a con artist? If she is, she’s a pretty convincing one at that. Between her predictions, Jesse’s curse, and the connection Jesse and Scarlett feel to the land itself, there is a hidden depth to the story that I hope is explored further in the next book. And after saying all that? Yep, I’m gonna go read it again.